Arctic sea ice extent on January 4, 2016, was at a record low for the time of the year, as illustrated by the image below. 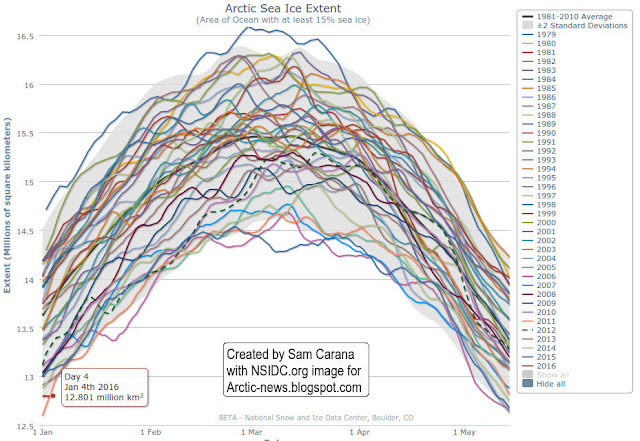 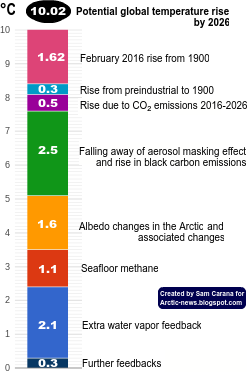 Arctic sea ice will typically reach its maximum extent in March. In 2015, sea ice extent was very low in March (see blue line in above image), and the outlook for this year is even more grim, as oceans get warmer and El Niño is still gaining in strength. 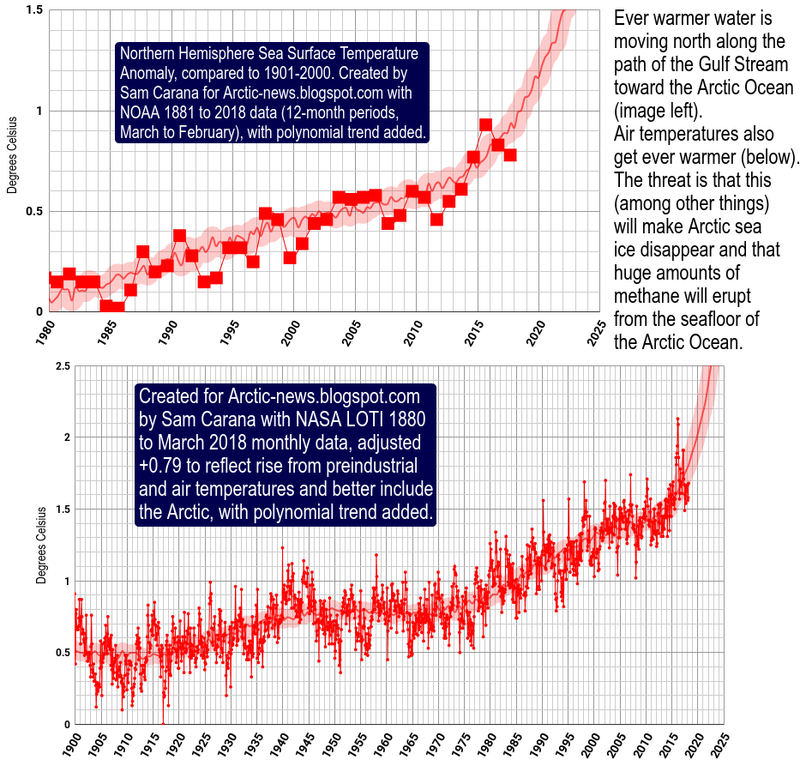 Below is a comparison of sea ice thickness (in m) on January 4th for the years 2012, 2015 and 2016. 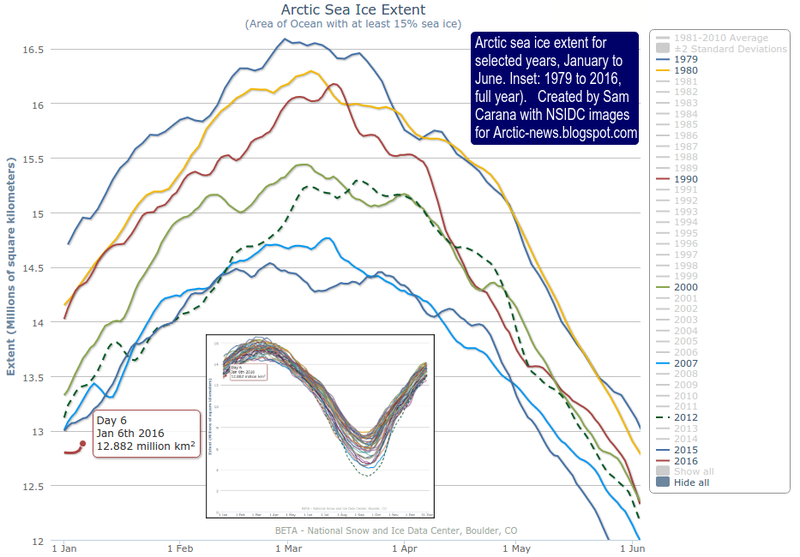 Below is an update showing Arctic sea ice extent as on January 6, 2016, at the bottom left corner, marked with the red dot.